Just a few years after Egypt was suspended from the African Union, it has managed to reposition itself as a leading country in the continent, taking the chairmanship of the union once again in 2019. This was a unanimous decision taken by African Union leaders at the 2018 African Summit. “There is no doubt that the African countries have realised the great increase of Egypt’s interest in the African continent and its issues through the keenness of President Abdel Fattah Al-Sisi to reorient Egyptian policy towards its essential circles, particularly the African circle,” said Egypt’s State Information Service (SIS) in a statement upon the announcement in 2018. As Addis Ababa prepares to host the 32ndordinary session of the AU assembly on 10th and 11thof February, Egypt ambassador to Ethiopia, Osama Abdelkhalek, outlined the country’s strategy during the AU chairmanship. “Egypt, as chair of the African Union, intends to focus on a number of priorities. At the forefront of this is Agenda 2063, in addition to Egypt’s readiness to achieve tangible results based on the actual needs of African people,” Abdelkhalek said in a statement. Egypt’s vision focuses on several aspects which include: “Building bridges of cultural and civilisation communication between the African people, cooperating with partners, peace and security, institutional and financial reform of the AU, economic and regional integration, economic and social development,” according to the statement. Among the highlights of Egypt’s announced plan for leading the union were, “establishing AU’s centre for post-conflict, reconstruction, and development during 2019, launching a high-level forum for continental dialogue entitled as ‘Aswan Forum for Peace and Sustainable Development’, expediting the African Continental Free Trade Agreement, in addition to developing an integrated system to evaluate performance and accountability,” the statement read. Egypt’s foreign minister, Sameh Shokry, headed to Addis Ababa to participate in the preliminary meetings of the AU summit, during which he met with several African counterparts and attended summit preparation meetings. According to statements by the foreign ministry, Shokry met with his counterparts from Sierra Leon, Djibouti, and Burundi. During his meeting with Djibouti, foreign minister, Mahmoud Ali Youssef and Shokry discussed the potential of launching an Egyptian free logistics zone in Djibouti. President Sisi is expected to address the AU on Sunday during the opening session of the summit, and during which he will present Egypt’s vision on the priorities of the African continent. Egypt was suspended from the AU membership in July 2013, following the ouster of President Mohamed Morsy. 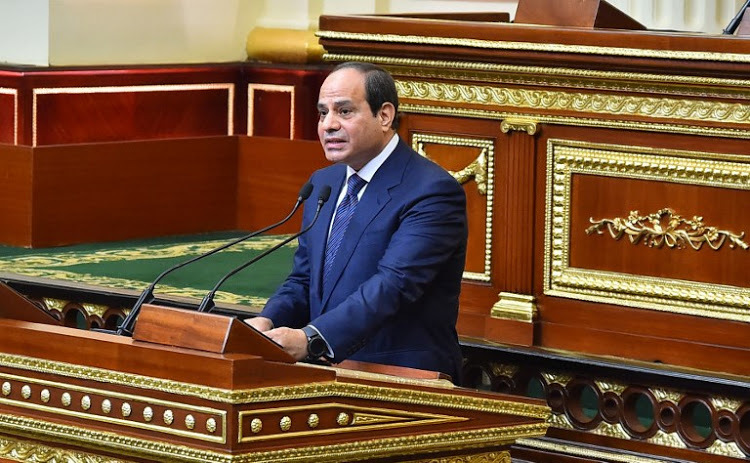 One year later, as President Sisi took over, Egypt regained its membership in the union, and since then it has been focusing on rebuilding partnerships and undertaking initiatives with African countries. In December 2015, Egypt has launched an ambitious initiative “Africa Renewable Energy Initiative” to develop more than 10GW of renewable energy generation capacity by 2020, and at least 300GW by 2030. Egypt’s investments in the African continent has significantly increased over the past few years. Egypt’s Minister of Investment, Sahar Nasr, announced during the African Investment Summit held in South Africa in 2018, that Egypt’s investments in the continent have reached USD 10.2 billion. Meanwhile, the Confederation of African Football (CAF) announced Egypt as host of the African Cup of Nations 2019 for the first time since 2006. Egypt won the draw with South Africa by 16 votes to one vote, at CAF executive committee vote in Senegal. The AU 2019 summit comes amid a critical time for several African countries. On Tuesday, warring parties of conflict in the Central African Republic signed a peace deal with the government after weeks of negotiations mediated by Sudan, to end an era of fights that left thousands of people dead. In Sudan, several protests broke out in December across different cities of the country demanding the step down of the current regime, amid economic hardships. The protests witnessed violence between protestors and security forces leaving at least 30 people dead. According to the AU website, the agenda of this year’s summit will tackle migration and displacement, the launch of the African women’s network fund, the African Renewable Energy Initiative, among many other economic, political, and social issues of common interest.